The slate roof bible is a great idea! Is there anywhere I can purchase all the editions? Is he a slate roofer? Does he do shingle roofing? That stuff would make a difference. What a great idea. Let us know. 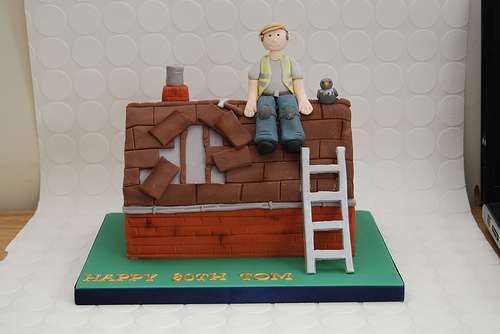 As you guys can see from the title it is a roofers birthday coming up and I am needing some advice on what to get him. My brother started roofing 5 years ago and he loves his job more then his family haha. It's his birthday coming up in a couple of months and I would like to get him something for his roofing job, something that he will use daily. As I'm not a roofer I have no idea what to look for and i'm hoping you guys can point me in the right direction. What do you guys use daily that would be great as a gift? or what are you always replacing? All suggestions and ideas will be greatly appreciated guys. Really looking forward to speaking with you all and if there is any other information that you guys need please let me know.